If male-pattern baldness is one of the first things that springs to mind when you think of hair loss, you’re not alone. Although many men do experience balding as they age, hair loss can affect both genders, and at any age. 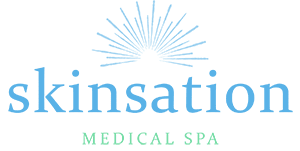 At Skinsation Medical Spa in Goodlettsville, Tennessee, Dr. Nadja Colon and her top-notch team offer NeoGraft® hair transplant treatments to help men and women in the greater Nashville metropolitan area restore lost hair safely and effectively. To find out more, call or book your appointment online today. Most people normally shed about 50-100 hairs a day. This natural process doesn’t usually cause any noticeable thinning of scalp hair because new hair is constantly growing in, replacing what’s lost. Anything that disrupts this cycle can lead to hair loss. Although genetic predisposition is by far the most common cause of hair loss, hormonal changes, medical conditions, stress, and certain medications can impact hair growth. Male-pattern baldness, which is heavily influenced by heredity and usually involves a bald spot or a receding hairline, may begin as early as puberty. Female-pattern baldness generally takes the form of all-over thinning hair. NeoGraft is the first FDA-cleared hair transplant system that uses an advanced technique known as follicular unit extraction (FUE) to use a patient’s own healthy hair follicles to replace follicles that are no longer producing hair. The procedure’s innovative FUE technique allows Dr. Colon to harvest individual hair follicles from the donor area — which is typically at the back of your head where hair grows well — without having to make an incision. When these micro-grafts of healthy hair follicles are implanted into a balding or hairless area, the transplanted hair will continue to grow naturally, becoming thicker and healthier as time goes on. Whether your hair loss is age-related, the result of a medical condition, or has some other cause, NeoGraft offers a natural, permanent solution for men and women alike. NeoGraft combines precision physician craftsmanship with state-of-the-art technology to deliver amazing, natural results. It can also be completed in less time and with more precision than comparable hair restoration methods. NeoGraft is a minimally-invasive procedure with virtually no discomfort. Because it doesn’t involve a scalpel or stitches, you’ll heal faster and won’t have to worry about scars. After the procedure, you’ll be able to get back to your normal routine in just few days, looking and feeling completely normal. After you receive a local anesthetic in the treatment area, Dr. Colon can begin harvesting individual hair follicles from the donor area. FUE technology uses controlled pneumatic pressure, allowing her to slide the graft out smoothly and avoid pulling, twisting, or otherwise damaging it. Then, Dr. Colon creates properly angled and oriented recipient sites in the treatment area and implants the donor grafts, one at a time. The quick turnaround time between harvesting and implantation helps the grafts stay more robust. Your newly-transplanted hair will begin to grow naturally in several phases. Two to three weeks after the procedure, the grafted hair will go through a normal shedding cycle to make way for new growth. You’ll then begin to see new hair growth about three to four months after the procedure, and further improvement in the months that follow.